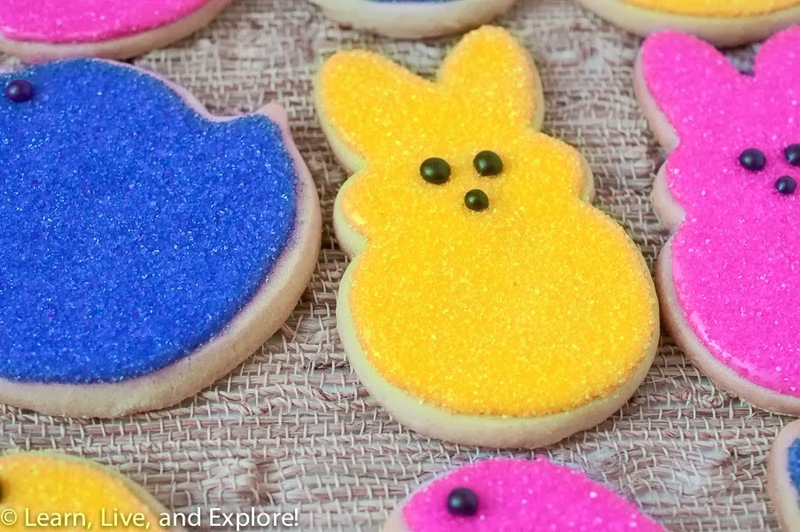 Peeps Cookies ~ Learn, Live, and Explore! 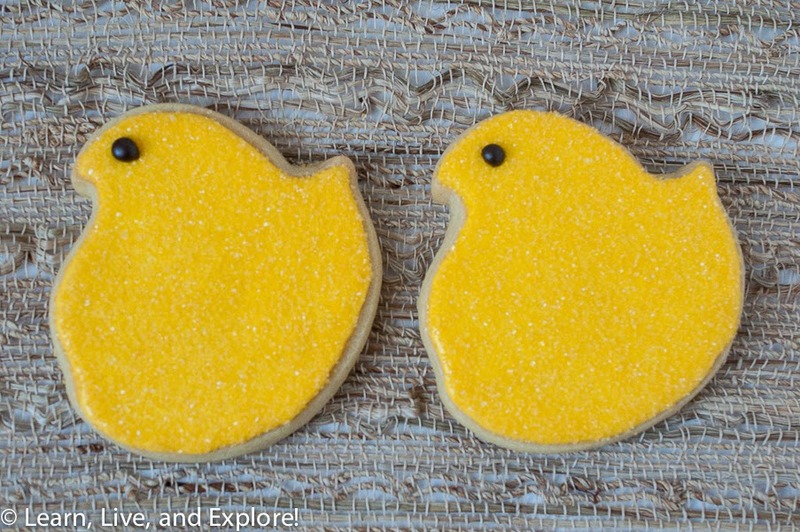 For the cookie decorating novice, I give you these super cute Peeps cookies!! 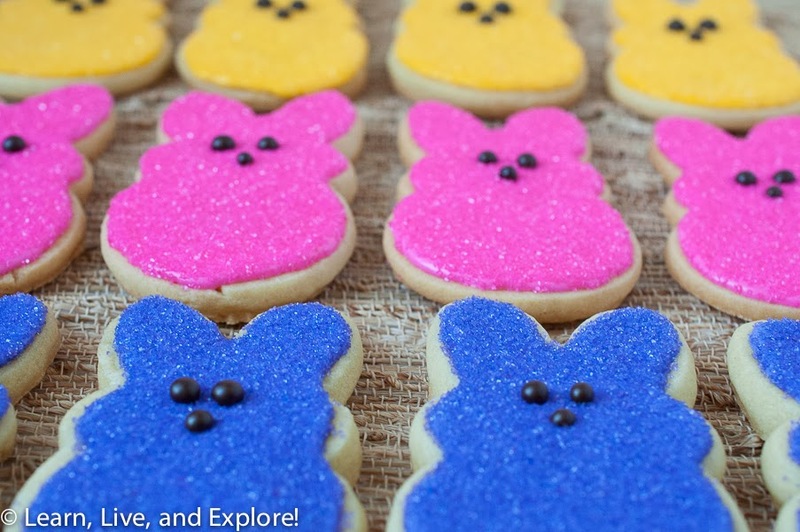 Wilton produced Peeps themed baking items this year, and I found mine at a Michael's store. In the same display, there was a convenient selection of pastel colored sanding sugar. 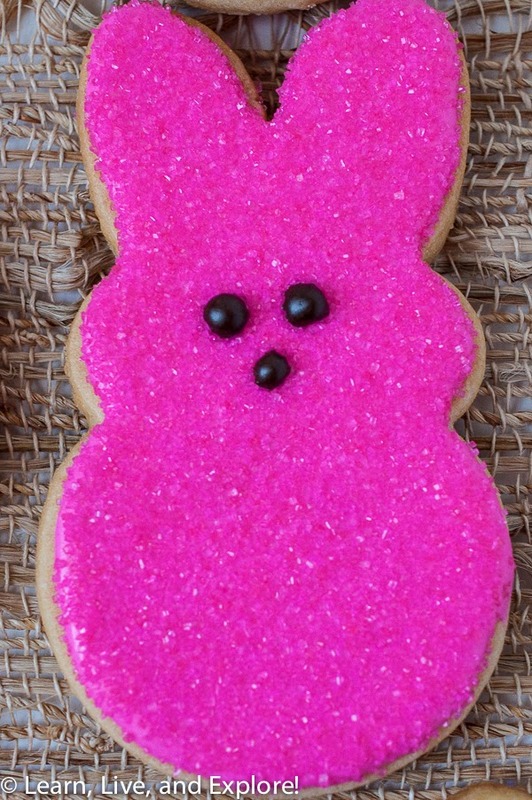 The cookies were baked using my standard sugar cookie recipe, and the decoration was classic flooding of the cookie surface with colored royal icing which was quickly covered with the matching color sanding sugar. 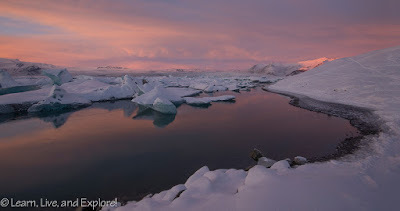 A great tip for the sanding sugar: place a piece of parchment paper on a cookie sheet with a rimed edge, then put the cookie on the paper, dump sugar on top, tap the excess sugar back onto the parchment paper, remove the cookie, lift the paper and bring the side edges together to easily pour the sugar back into the container. The cookies were left to dry overnight, then the dark brown eye and nose accents were added. Easy to make, yummy to eat!